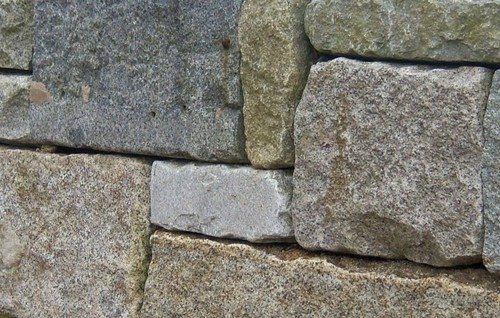 Hammering large pieces of granite into building blocks has been a part of New England’s history for hundreds of years. 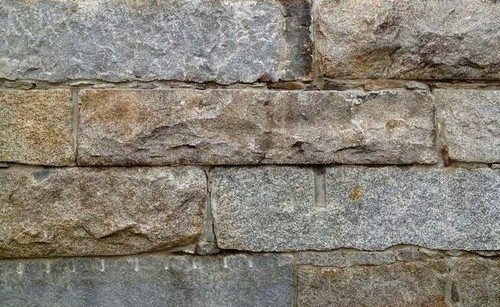 These blocks were used to build railroad trestles, cellar foundations and as the walls of many early American industrial buildings. 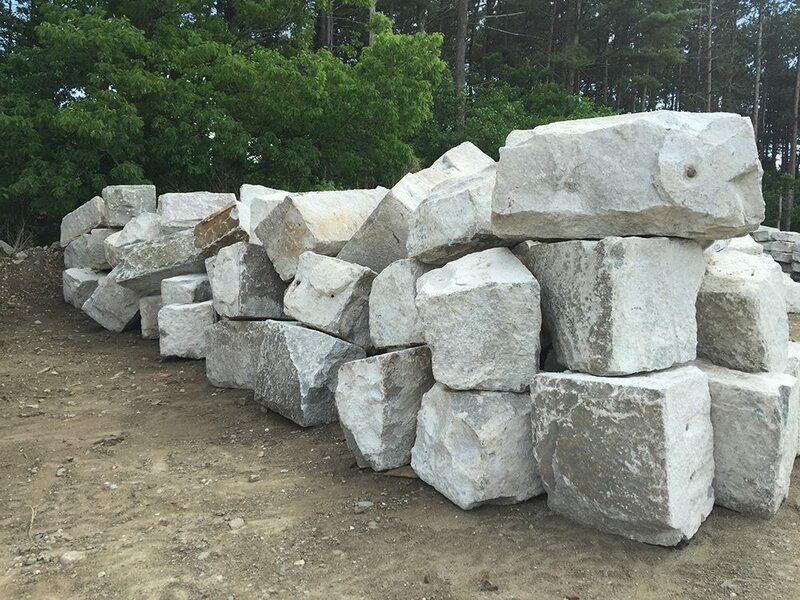 As these structures are retired from service, Stone Farm harvests their beautiful blocks and re-purposes them for many different applications. 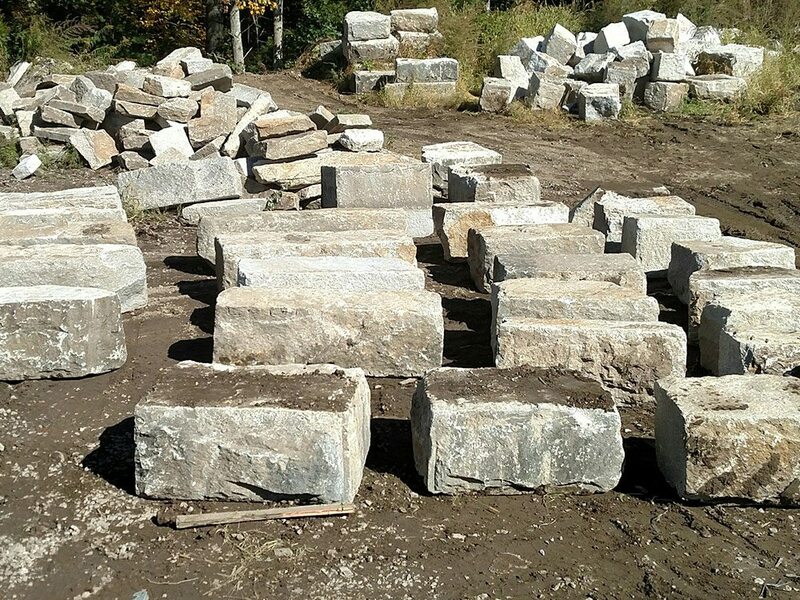 Granite Blocks were fabricated in a variety of shapes and sizes. 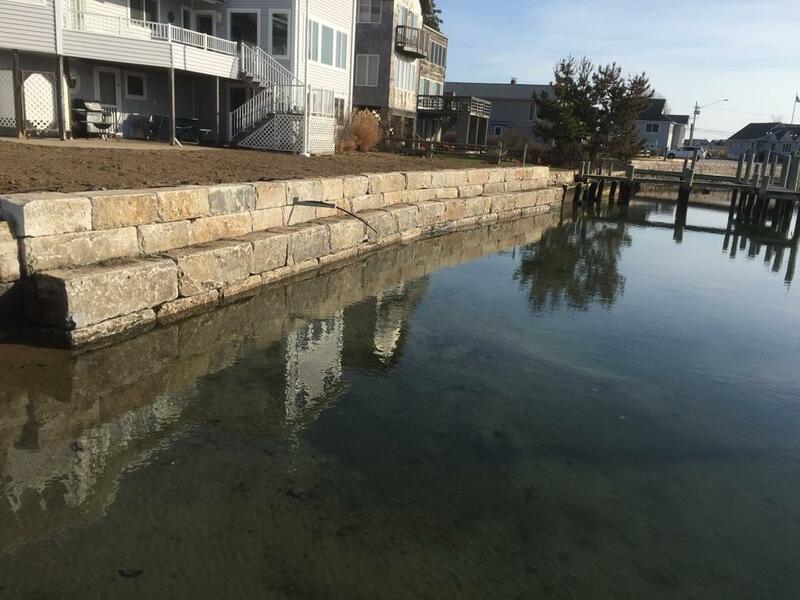 Throughout New England you may notice blocks ranging from 18-24” tall by 2’-8’ long. 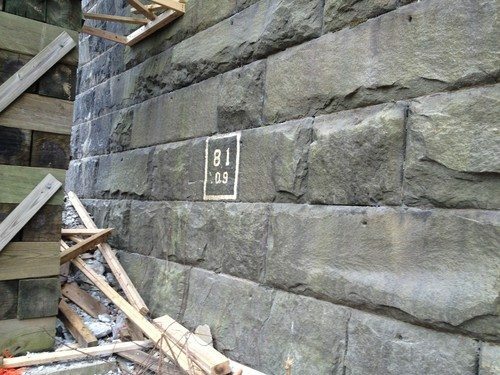 These dimensionally shaped blocks often originate from railroad and bridge piers. Cellars were often constructed from more semi-dimensional material; blocks with varied heights and lengths. Stone Farm harvests and sorts this material to these various dimensions. 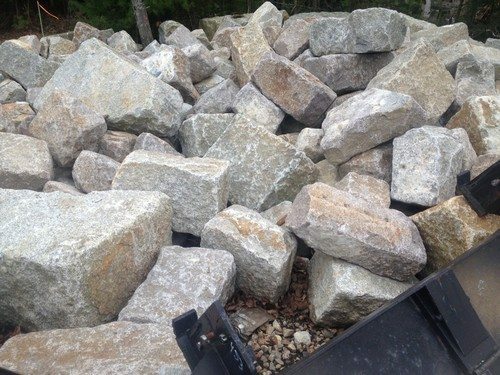 Most of the granite block we harvest today originates from one of the numerous granite quarries scattered throughout New England. Through years of weathering, these quarries produced granite in various shades of gray, blended with underlying earth tones. Combined with a slightly rough, split face, textured surface, the end result is a unique color palette that can’t be replicated elsewhere. Packaging / trucking - Bulk via 23 ton dump truck or per piece on dunnage on flatbed truck. Packaging / trucking - Bulk via 23 ton dump truck load. Highest quality dimensional block suitable for benches.